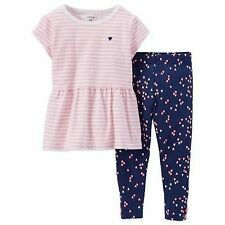 Baby Gap Infant Girls Eyelet Cap Sleeve Striped Bodysuit, 6-12 mos. When you have a baby, there are certain clothing essentials you will need to fill the closet. 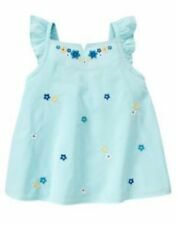 Baby girls are often dressed in bodysuits or outfits made up of a dress or tops and bloomers. A dress, skirt, or jeans make a good outfit for toddler girls. How do you choose the right size baby girl clothes? Baby girls who weigh less than eight pounds wear newborn size clothing. 0 to 3 months will fit a newborn who weighs eight to ten pounds. 6-month clothes will fit a baby who weighs up to 15 pounds. 9 months will fit an infant up to 17 pounds. 12 month clothes will fit a baby up to 20 pounds. 18 months will fit baby girls 20 to 25 pounds. 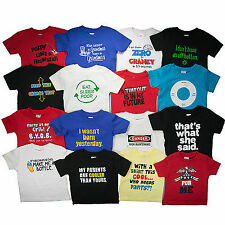 24-month clothes will fit kids up to 28 pounds and 33 inches tall. 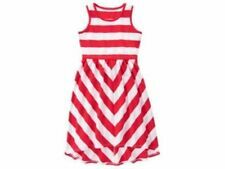 2T sizing is for toddler girls who weigh up to 30 pounds and are 33 to 34 inches tall. 3T outfits will fit girls 30 to 33 pounds and up to 36 inches tall. 4T is for a toddler who weighs 36 pounds and is 38 inches tall. How do you choose the right outfit for your baby? 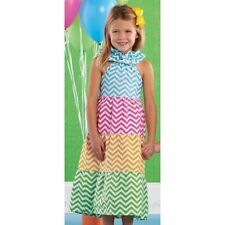 There are so many options available for baby girl clothes and they grow so fast that it can get overwhelming. You may find this simple selection process is helpful to take advantage of the many different styles available. Determine your kids' clothing size: Baby girls can usually wear anything newborn to 24 months, and toddler girls can wear anything 2T to 5T. 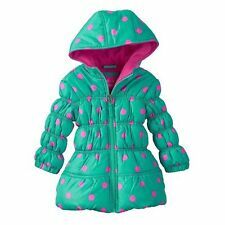 Take the weather into account: Since little girls tend to not stay in the same size for very long, a particular outfit may only fit for a single season. 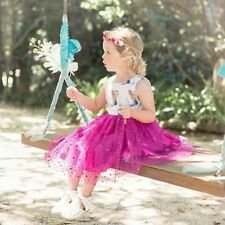 Select a style: You baby or toddler will be happy to wear pretty much anything as long as they are comfortable, so it is up to you if you want to just put them in bodysuits or fancy dresses. Choose a colour: Select a colour from a variety of solids, patterns, and designs. Layer up: Bodysuits come in every colour and size. You can layer them under a dress or leave them as is. What are baby diaper bloomers? Baby girls wear diaper bloomers under a dress to cover up their diaper. Bloomers can also be paired with a skirt. Many baby girl clothes include matching bloomers to complete the outfits. You can dress your newborn in clothes that can cover or emphasize the bloomer. What is a toddler romper? Rompers are bodysuits for toddler girls and kids. Entire outfits are comprised of a single romper and a good fitting shoe. These bodysuits are a combination of a dress and clothes made up of tops and shorts. 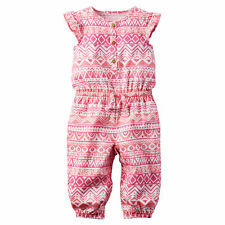 Toddler rompers are an easy way to dress your girls to maximize comfort and style.